Imbalance of intestinal microflora may be manifested by cramps, painful spasms, constipation and diarrhea. As a rule, these disorders occur after taking antibiotics and due to intestinal infections which are common among young children. To eliminate the unpleasant symptoms of dysbiosis physicians recommend Linex. The advantage of this drug is that it is suitable for all age groups, including newborns. A goiter can occur even in a newborn baby due to malnutrition of the mother or infectious disease. Artificial feeding, and later breastfeeding, atopic dermatitis or inadequate dietary habits of the mother during pregnancy can also trigger this condition. Indirect signs of this disease are disorders of stool, frequent regurgitation, and weight loss of the baby. To confirm the diagnosis the doctor is likely to prescribe stool cultures, which will help to reveal the deficiency of beneficial bacteria. In the case of confirmation of diagnosis, pediatricians often prescribe Linex. To treat an infant you should sprinkle contents of capsule onto a spoon, dissolve the powder in breast milk or water and give this mixture to the baby. 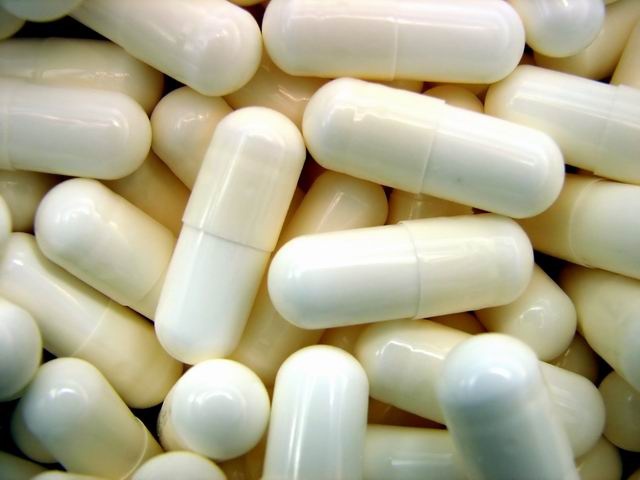 For one course of treatment you will need two packages of the drug, as persistent therapeutic effect is possible only with a ten-day therapy taken three capsules per day. Preschool children are often exposed to intestinal infection. The reason for that habit is to drag everything into the mouth and cohesive children's groups in which infection spreads rapidly. In the complex therapy Linex is assigned one capsule three times per day. To violate the integrity of the shell in this case, you should not take the capsule whole, squeezed small amounts of tea or juice. Students prone to dysbiosis due to irregular and sometimes unhealthy eating habits. Products containing preservatives and dyes adversely affect the gastrointestinal tract. At the onset of symptoms of the disease, the doctor is likely to recommend the admission of Linexand two capsules three times a day. During antibiotic therapy Linex is used from the first day of treatment. It helps to keep the intestines from the negative effects of antibiotics. Taken by the doctor in the age dosage. Usually, infant and pre-school age are assigned to one capsule, and students. "Linex" is a combination drug product designed to restore and maintain the natural microflora in the gut. Newborn it is prescribed for colic, accompanied by crying, bloating, loose stools. The healing properties of "Linex,"
Part of the drug "Linex" includes 3 species of lactic acid live bacteria: Bifidobacterium, Lactobacillus, lactic acid non-toxigenic enterococci. They are part of the natural intestinal flora. Once in the digestive tract, beneficial bacteria normalize digestion, cause fermentation of lactose (the carbohydrate part of milk) and restore the acid environment, depressing the development of pathogenic microorganisms. The drug provides the child's body with Biotin, vitamins B6, B12, activates the synthesis of vitamins, creates favorable conditions for the assimilation of iron, calcium and vitamin D. the Intake of "Linex," allows you to shift the pH of the intestinal contents acidic side, the result provided the optimal conditions for enzyme activity of digestion. The drug facilitates the process of protein digestion in the newborn. Analogues of "Linex," are: "Acipol", "Bifiform", "Normabec", "Florin Forte", "Normoflorin", "Lactobacterin", "Enteral", "Bifidumbacterin", "Probator", "Bificol", "Battistini", "Baktisubtil", "ABICOR". Indications for use drugs: prevention and treatment of dysbacteriosis, flatulence, chronic and acute gastroenterocolitis and diarrhea. 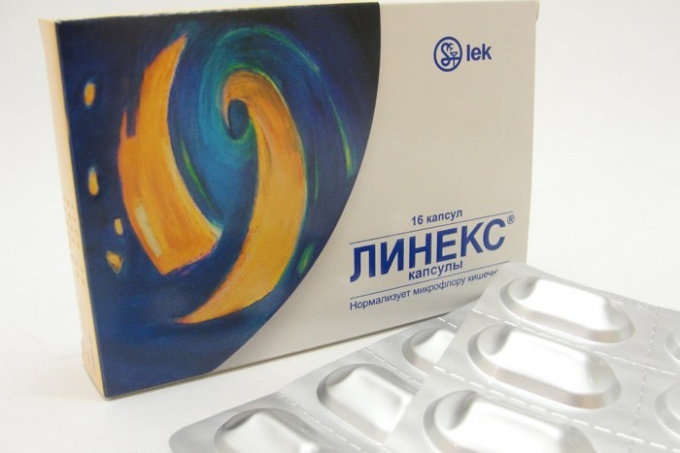 "Linex" is available in the form of capsules for oral use, one capsule contains about 1,2х107 live bacteria. Newborn drug give after feeding. The capsule needs to be open, then pour the contents into a teaspoon, add small amounts of cooled boiled water or breast milk (mixture) and pour into the baby's mouth. It is possible to inject the mixture into his mouth with a syringe without a needle. The daily rate for newborns of the drug is 1 capsule, the contents should be divided into 3 doses. Medication to give the child equal intervals of time. The duration of the course is determined by a physician, it can be 1-2 weeks or more. "Linex" is contraindicated in case of hypersensitivity to its components. The drug is well tolerated, but may cause allergic reactions (skin rash, conjunctivitis, rhinitis). In this case, you should stop taking the medication and consult a doctor. Doctor's consultation is also required if the child has a fever above 38оС, the chair has had blood and mucus in the duration of diarrhea more than 2 days, with constipation. The drug should be stored at room temperature for 3 years. "Linex" is available without a prescription.